Is responsibility-taking freeing or not? In Greek philosophy, there is the notion of taking the responsibility for shaping and defining yourself as an individual. This concerned all aspects of life, both external (e.g. ; social, political, economic), and internal, (e.g. ; personal life, health). One philosophical view bemoans that this notion disappeared after the Greeks, with external forces shaping nearly every detail of the individual, first in the classical era by the church, and now in the modern era, by science and other experts, and culture. However, cultural hypnosis is not sufficient to explain why people are not taking more responsibility now in an era where the information and tools afforded by technology are allowing greater responsibility-taking. The opposite occurs, instead of taking new responsibility, it is just better outsourced. Part of the reason is laziness, or more respectably and thermodynamically, entropy the tendency towards low-energy states. Trusting outsourced solutions to care for responsibilities might seem to increase dependency, but it paradoxically leads to more freedom. It is actually freeing not to take responsibility. Abdicating responsibility has the higher benefits and lower costs of controlling rather than owning assets. However, one danger is that the outsourcing becomes too derivative, and through lack of oversight, later enslaves the originator, morally or otherwise. The MIT/Stanford Venture Lab’s April event featured a panel discussion of Consumer 3D Printing. Consumer 3D printers have decreased substantially in price in the last several years (from $10,000 to $1,200) and could reach $200-$300 in the next several years. The main current perception of consumer 3D printers is that they are an interesting novelty where “killer app’ use cases remain to be seen. Printers need to be capable of printing a wide range of useful objects as opposed to plastic novelty items. In addition to a lower price point, some other changes needed to expand the consumer industry include the ability to use more kinds of materials in a cost-reasonable way (e.g. ; soft-touch and see-through materials, having multiple materials in one object), easy-to-use 3D software design tools, and a more robust 2.0 version of the file standard (*.STL (stereo lithography) files), similar to how postscript became the standard for laser printing. Beyond the level of practicalities, consumer 3D printing is more extensively transformative. Not just is a new era of tools and know-how being created through printers and the printing process, a new era of makers, designers, and digital artisans is arising. It will not be accessible, interesting or relevant for everyone to engage in 3D printing initially, but a class of early adopters are already becoming experts in the field, creating objects for purchase and customization, including high end art objects. Reminiscent of eBay merchants, the biggest sellers at 3D printing communities like Shapeways (150,000 community members who made 750,000 products in 2011) are doing $4,000-5,000 of business per month. While consumer 3D printing is in its early days, commercial 3D printing is much more of an established industry. The largest printer, 3D Systems, has an annual revenue of $300 million, and sells products in 120 vertical markets like aircraft, automotive, and medical equipment (nearly all hearing aids and Invisalign braces are made with digital printers for example). However, commercial 3D printing may be constrained by some of the same factors as consumer 3D printing; 3D Systems stock price (ticker: DDD) is again $25, where it was a year ago. Eventually, as feedstocks get more sophisticated, they could become interesting economic commodities. Some of the current feedstocks include ABS plastic (in filament cartridges), gypsum powder, sodium lauryl sulphate (SLS) powder. Wikis are a great tool for facilitating open science through ease-of-use and transparency in the conduct of research studies. Wikis allow real-time updating, archived recording of changes over time, and the general ease of information flow in the digital era. In the health arena, wikis are being used to empower health-self management. 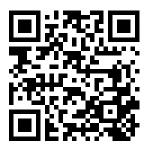 One example is the DIYgenomics wiki which is used to operate crowdsourced health research studies. Two key activities are open deliberation regarding study protocols and data results. 1) Open Study Protocols – wikis can be used to post and continuously update study design protocols. Study advisors, ethicists, potential funders, organizers, participants, press, and any other interested parties may review and give input in an open format. Two current examples of study protocols under development are a Quantified Self-tracking Diabetes study and a Social Genomics study (e.g. ; linking personal genomic profiles to empathy, altruism, optimism). 2) Open Data Results – wikis can be used for study participants to log and discuss data results. For example, in one study looking at genomic mutation and Vitamin B deficiency, all data was tracked via wiki. Study participants were asked to post their genomic data and blood test results to the study wiki page as they came arrived. Separate validations were carried out from the underlying PDF copies of the lab test results, but anyone could follow the ongoing study results in real-time from the wiki edits. Later, the data collected in the wiki tables was easy to convert to the form needed for scientific journal publication. While striving to define objective truth is a worthwhile activity, objective truth is perhaps only a small corner of the overall possibility space of available truths. There are many cases where objective truth is not available - it may not be feasible, appropriate, practical, or obtainable, whereas subjective truths may be infinitely available. Some examples where objective truth may be lacking include future events, existential truths, and cases where objective truth is generally not available to all humans or specific individual humans. Objective truth may be unavailable in other cases that are beyond values, ethics, morals, and reason, and in phenomena in the qualitative, conceptual, intuitive, aesthetic, and experiential realms. It could be helpful, therefore, to have rigorous methods for structuring thinking about subjective truth. Virtual worlds – there’re not dead yet!! In fact the opposite is true. Virtual worlds have passed out of the spotlight in some regards but growth persists, with a heavily youth-oriented userbase. According to UK-based virtual world market research firm KZERO, there were 1.7 billion worldwide registered users of virtual worlds as of the end of 2011. This was more than double the under 800 million users at the end of 2009. As Figure 1 indicates, 97% of these accounts are currently held by users 25 years old and under. 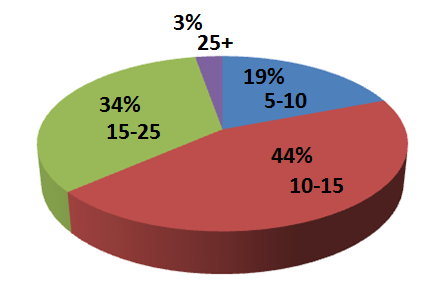 Figure 1: Virtual world account holders by age tier as of December 2011. Source: KZERO, Virtual world registered accounts reach 1.7bn in Q4 2011. On average, users have four avatars and are active in multiple virtual worlds. Habbo Hotel and Second Life are still well-known virtual worlds, the latter with 20 million regular users. Further, over 100 open sim grids are running using Second Life’s platform software, one of the larest of which is the education-focused Reaction Grid. Entertainment, socializing, and education continue to be application areas of focus in virtual worlds. Premium subscriptions, and in-world advertising and product placement, as well as virtual product and service sales remain the business model.